Saudi Arabia’s Foreign Minister Just PISSED OFF Liberals Using Just 3 Words! 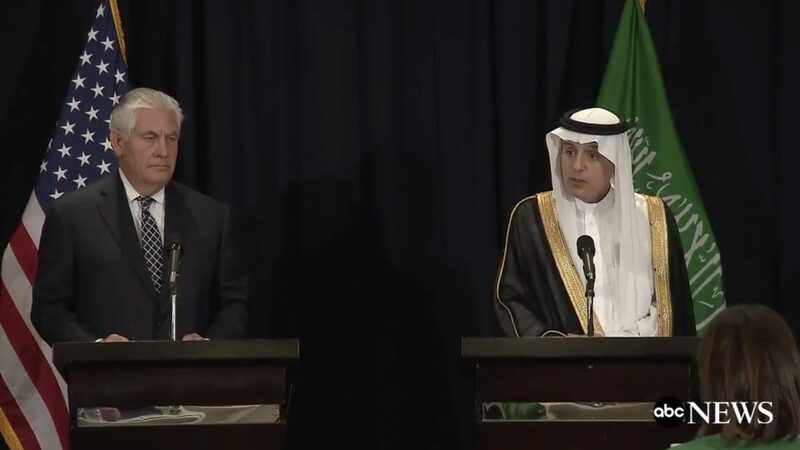 Saudi Arabia’s foreign minister expressed himself very clearly using a phrase Saturday that isn’t sitting to well with angry liberals, as it is yet another reminder to them of their loss they so arrogantly assumed was theirs in last year’s presidential election. It was the Saudi Foreign Minister Adel al-Jubeir who said during a press conference with Secretary of State Rex Tillerson Saturday that a working relationship between the U.S. and the Islamic world would be a starting off point to “drain the swamp” of Islamic extremism, which presently plagues many regions all across the world. “Drain the swamp” is no new phrase in the English language, as it was commonly used back in the early 1900’s in the typical rhetoric speech of many politicians. President Donald Trump was the mot recent political figure to use the term and the liberals know that all too well. While making his runs on the campaign trail, Trump routinely promised to “drain the swamp” of the established houses of Washington elites and their lobbyists and other power brokers that for too long have dominated the nation’s capital and political system. So, in order for Trump to “drain the swamp,” he declared that he had plans for Washington ethics reforms, lobbyist reforms and a way to solidly repeal laws passed by the Washington establishment, with the prime example being the horror that is Obamacare. Oh yes, it would seem that many are still hurting from the 2016 presidential election results and with world leaders using the President’s own phrases…a liberal somewhere is crying themselves to sleep over this phrase.